We try to take the element of luck out of the law by developing a strategy that will get you the best possible outcome in a dispute. Our expert lawyers will sit down with you at the start of the matter to decide the best way forward. For example, you may want to maintain an existing customer relationship, you may value speed of resolution or you may simply want to go all the way to court and get the full compensation you deserve. We have a variety of methods for achieving your goals and will also use careful project management to ensure that your time and resources are used efficiently. No dispute is pain free but we can make it as painless as possible. We take a different approach to litigation. There is always more than one way to resolve a disagreement and we can provide a wealth of alternative dispute resolution mechanisms ranging from conciliation to mediation. Sometimes litigation is unavoidable, however, and we provide pragmatic, thorough, cost-effective and timely services that will ensure you get the best out of a bad situation. We can assist you in developing litigation strategies and provide advice on whether your interests would be best served by regular court proceedings, an arbitration award rendered by an arbitration tribunal, or by other means. We can also advise on enforcement matters. Our lawyers are ready to represent you in national or international lawsuits before regular courts or arbitration tribunals, both within and outside Lithuania. We also work for insurance companies, brokers and other intermediaries in relation to insurance issues (including regulatory and corporate). Our extensive coverage of insurance lawyers worldwide enables us to add value to our clients trough in-depth local market knowledge, our multi-disciplinary expertise and our ability to effectively manage international teams on cross-border projects. We also provide legal advice with respect to disputes concerning tax law and can represent you before tax authorities and courts. provision of a wide range of insurance services on professional indemnity , reinsurance, property and casualty, commercial and transactional insurance, insurance insolvency, maritime and product liability. Acting in relation to the largest bankruptcy and recovery case in Lithuania. 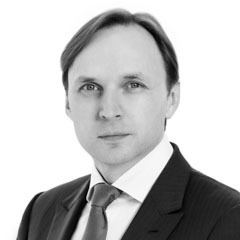 Successfully acted as a litigator in a major privatisation dispute against the Lithuanian State Property Fund in relation to privatisation of Alita AB. Representing the client in court proceedings relating to several public procurement tenders for waste management in Lithuania. Representing a large energy company in relation to public tender in the area of energy. Advising on a recovery case. Representing the company in relation to a dispute with a supplier concerning the quality of construction materials. We assisted with litigation strategy and other matters related to dispute resolution via arbitration. Representing individuals in several major dispute resolution cases. Represented the client at several court proceedings related to major tenders for waste management in Lithuania. Advising on litigation strategy and process, and litigating against the State Harbour Authorities in relation to the client's major engineering activities in Sea Harbor. Acting as a litigator in the privatisation dispute of Italian wine producer against the Lithuanian State Property Fund. We also represented the client in the special commission of the Lithuanian Parliament for evaluating the privatisation process of AB Alita. Representing the client in court concerning infringement of business reputation. Advising on a dispute with a supplier concerning the quality of goods. Providing litigation services for trunami cases. Assisted the client in litigation. Acting as a litigator in a major privatisation dispute of Italian wine producer against the Lithuanian State Property Fund in relation to privatisation of Alita AB. Advising on litigation strategy and process, and litigating against a minority shareholder regarding corporate governance issues. Advising on litigation strategy and process, and litigating against the State Harbour Authorities in relation to the client's engineering activities in Sea Harbour. Advising on the sale and purchase procedures of real estate in Lithuania. We have also assisted Teletekno in joint property ownership issues and litigation. Acting in a substantial recovery case in court. Representing a major Japanese listed company as a substantial creditor in a bankruptcy case. Successfully negotiating on a substantial cross-border shareholders dispute. Representating the client at a number of public procurement cases and legal advice in relation to public procurement projects. Representating Kaunas Airport in court proceedings concerning the international airport redevelopment project in Kaunas City.